On January 23, 1870, when the temperatures were well below zero, troops of the 2nd Cavalry led by an inebriated Major Eugene Baker came out of Fort Ellis to brutally massacred an innocent band of Piegan Indians encamped on the Marias River in the Montana Territory. 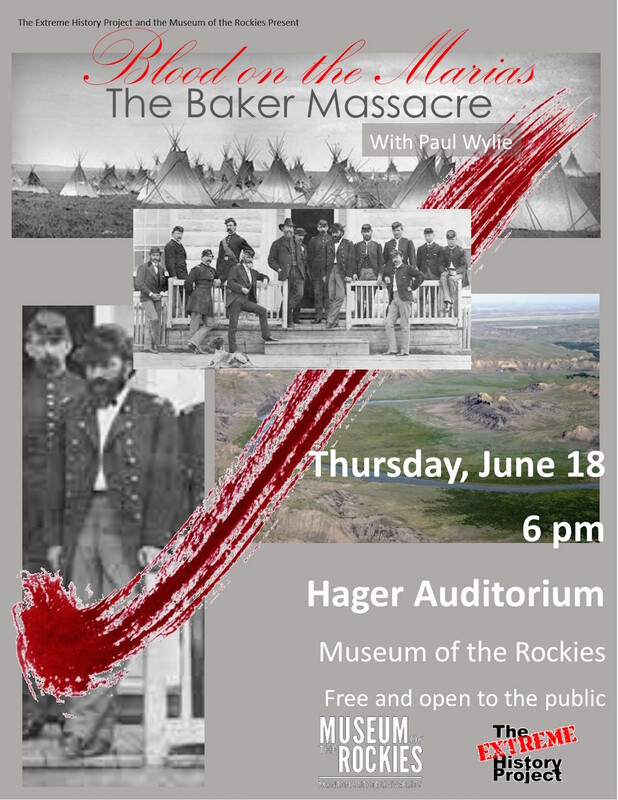 This presentation will focus on what led up to the massacre, including the early formation of a Montana Militia under Governor Thomas Francis Meagher, and the following movement of the U. S. Army into Montana to establish Camp Cooke on the Missouri River and then Fort Ellis near Bozeman and Fort Shaw on the Sun River. The lecture will explore the early targeting by the white settlers and the military of Mountain Chief and his band of Piegans, and it will go into the interactions of the Generals William Tecumseh Sherman, Philip Sheridan, Winfield Hancock and Regis DeTrobriand in planning the attack, and the opposition of General Alfred Sully who was assigned to the Interior Department at the time. Despite the planning to strike Mountain Chiefs band, it was the peaceful band of Chief Heavy Runner that was mistakenly attacked. The presentation will also discuss the killing of Malcolm Clark which precipitated the event, and the involvement of the fur traders and the whiskey trade as a relevant factor.